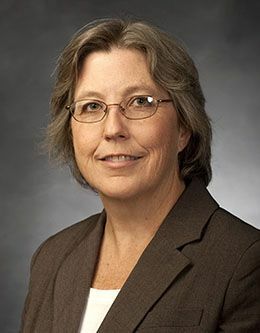 Dr. Lori L. Wadsworth is the chair of the Marriott School of Business’s Public Management department and director of the Romney Institute of Public Management at Brigham Young University. Dr. Wadsworth joined the Marriott School faculty in 1999, but has been part of the BYU community since 1983 when she was a student studying family sciences and public administration at the undergraduate and graduate level, respectively. Following graduation, Dr. Wadsworth began her professional career as an instructor in the Department of Management at the University of Utah. She later became a student of the same university, graduating in 2003 with her PhD in business administration with an emphasis in organizational behavior and human resource management. It was not long before Dr. Wadsworth returned to BYU, this time as the academic advisor in the office of Graduate Studies. She served in this capacity until becoming a visiting instructor for the Romney Institute of Public Management, eventually going on to become associate professor and then chair of the Marriot School’s Public Management Department. Her professional accomplishments reflect her dedication to hard work and self-improvement. Dr. Wadsworth has served on many BYU committees, including the Marriot School Curriculum Committee, the Romney Institute Curriculum Committee, and the Library and Scholarly Communication Advisory Council Committee. Her research interests are focused primarily on work-family interactions and how employers can assist workers in creating a healthy balance between work and family life. Themes such as flexible benefits, alternative work schedules, social support, and ethics in the workplace are found in her published work. One of her research studies has focused on the benefit of the four days a week, ten hours a day work week.